Employees today expect to access business applications from their mobile devices. 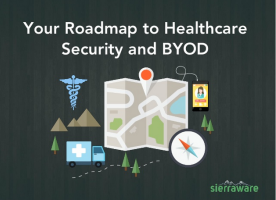 BYOD is no longer a buzzword; it's a reality for most organizations. And employees often want to use native mobile applications that have been designed for smaller, touchscreen displays, not traditional desktop applications. As a result, IT teams must manage a host of new applications designed for different types of mobile devices. Besides having to maintain and upgrade mobile applications, IT administrators must consider threats like physical data theft and data exfiltration. 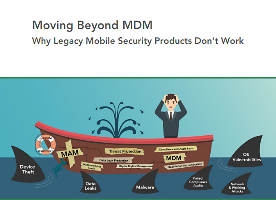 While end-point security software can reduce the risk of data loss, it's harder for organizations to enforce security policies on mobile devices than on Windows-based computers; eventually, some users will find ways to jailbreak or root their devices, rendering mobile device management (MDM), proxy and sandboxing solutions ineffective. 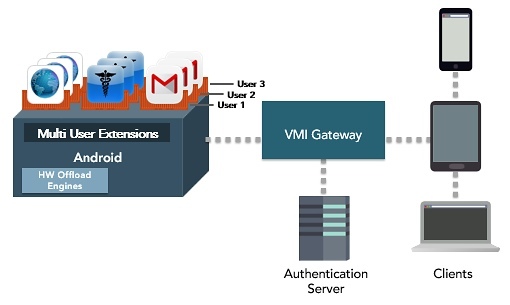 SierraVMI offers a powerful, end-to-end VMI platform for Android applications. Unlike alternative solutions that require a separate virtual machine instance per user, SierraVMI combines containers or bare-metal virtualization, allowing organizations to serve thousands of users from one, large cloud VM instance. 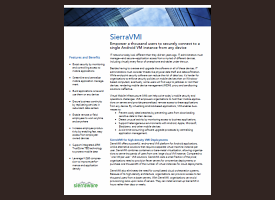 Compared to "one VM per user" VMI solutions, SierraVMI costs a small fraction of the price; organizations need to provision fewer servers for on-premise deployments or purchase one thousandth of the number of virtual instances for cloud deployments. SierraVMI also eliminates the need for complicated cloud orchestration systems. Because of its high-density architecture, organizations can provision access to ten thousand users from a dozen servers. With SierraVMI, organizations can avoid provisioning racks upon racks of servers. They can set up SierraVMI in hours rather than days or weeks. SierraVMI allows you to lower app development costs and ensure cross-platform support. Just build your mobile apps for Android and support remote access from any device, including Android, Apple, Microsoft and Blackberry devices, and even desktop computers. You no longer need to worry about operating system versions or device compatibility. Let your employees buy the devices they want without restrictions. 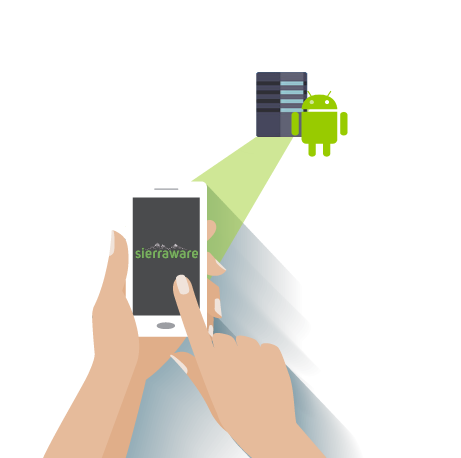 SierraVMI offers Android and iOS client apps and also supports access from HTML5-enabled web browsers. Watch a two-minute demo of SierraVMI or access a live demo. 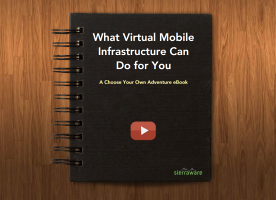 Why wait to check out virtual mobile infrastructure? View a live demo now. Just install the SierraVMI app to your mobile device and then connect to our test site. Find out more and request a demo user name and password today. Inspect files for malicious content and prevent users from distributing confidential data. Because VMI hosts mobile apps in the data center, it's easy to backup data. Most virtual mobile infrastructure products rely on QEMU emulation and SPICE or VNC protcols gather data. Unfortunately, these protocols offer poor performance and low app density. 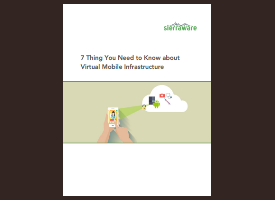 With Sierraware's unique mobile app virtualization, it is easier to leverage hardware features like GPU accelerator cards and to offer unified support for camera, microphone, GPS, display and video redirection.